Raise of hands who doesn't like coffee? Yeah, that's what we thought. Coffee is a way of life for us Aussies, ingrained into our daily routines. Breakfast just isn't breakfast without a creamy cup at one of Brisbane's best cafes, and don't even think about embarking on a morning meeting without your daily dose of caffeine coursing through your veins. 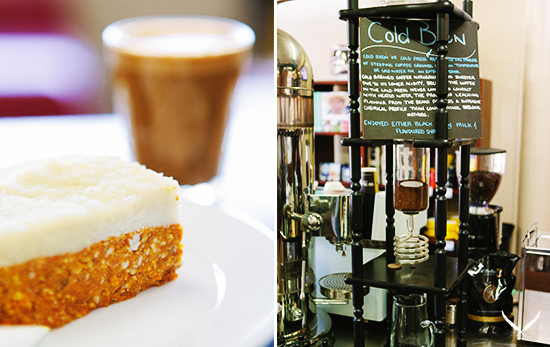 Be you a coffee nut, or just someone who enjoys the odd cup now and then—a golf clap for you—we've found one of the best cafes in Brisbane, which is an oasis for anyone with the slightest inclination towards the dark stuff! 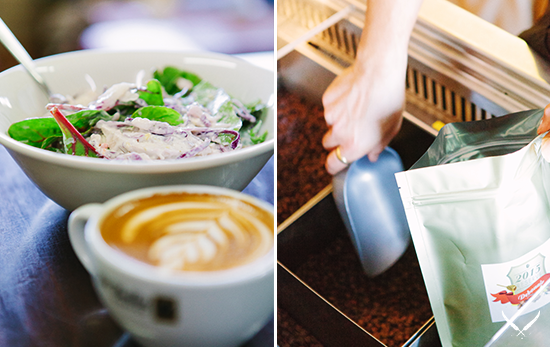 Taking up some serious real estate in Bowen Hills, you'll find Di Bella Coffee's head office, roasting warehouse, café, and drive-thru—the beating heart of its growing empire. Don't be intimidated by its size, Di Bella Coffee is hands down one of the best cafés in Brisbane if you want a great tasting brew, and one of the friendliest, too! 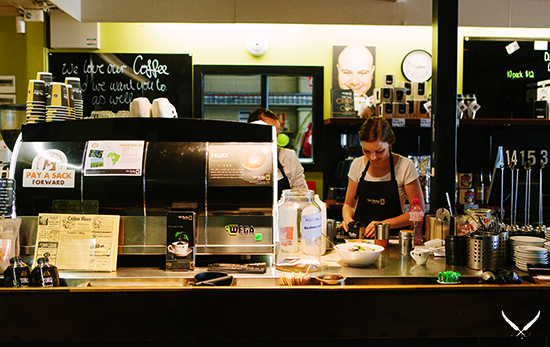 This hive of activity at this little Brisbane cafe is something else; the café is open daily and locals are fiercely loyal to their fave brew. 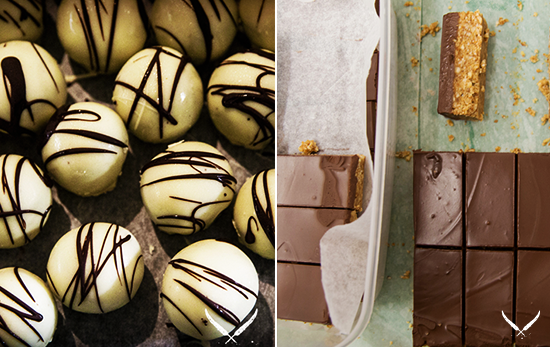 With an incredible selection of coffee on offer, plus some only-slightly sinful treats from TUL fave, Primal Pantry, the Di Bella Coffee café is totally unique. Wait until you lay eyes on the cute-as-a-button 1950's style drive thru café! One of only a handful in the city, this is where you get your coffee if you're in a rush, or if you're just feeling particularly lazy. Nifty AND time effective! We like. Fancy stocking up on some new equipment to make a perfect cup of joe at home? They've got your back. The Di Bella Coffee café has a whole host of funky gadgets and new-to-market thingimijigs to help you make the perfect brew yourself. If, like us, you're not up with coffee lingo, a bit heavy handed with the old milk frother and want to brush up on your coffee making skills, you can do that too! Di Bella Coffee run some pretty snazzy courses, from their coffee appreciation course, where you can come and sample new blends fresh from their roasting warehouse next door, to getting your hands dirty and learn to make the perfect coffee at home—they even give some great tips on how to look after your machine. For free! What a nice bunch. Given that Di Bella Coffee is a Queensland born and bred company, it automatically gets our vote, but it's the bloody good coffee coming out of this cute Brisbane cafe that stole our caffeinated hearts! We say leave the green juice to the hipsters and yummy mummies, and raise your paper cup to your new favourite coffee spot. TUL Note: Today's List Love post is proudly sponsored by Di Bella Coffee and endorsed by The Urban List. Our sponsored posts will never be a secret - the List Love seal will be stamped on any sponsored material you see on the site. Thank you for supporting the sponsors who make The Urban List possible.